Wolf Children is a staggeringly beautiful animated feature film from director Mamoru Hosoda (Summer Wars). 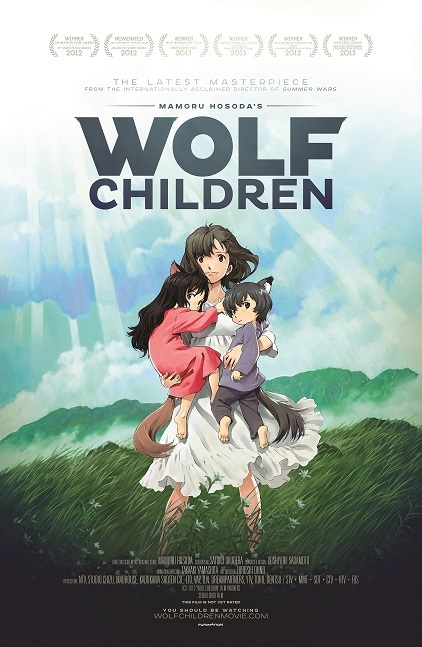 This epic cinematic achievement follows Hana, a woman who falls in love with a Wolf Man and gives birth to two half human, half wolf children. After the tragic death of her beloved, Hana seeks refuge in rural town where she attempts to build a life for herself and her children. 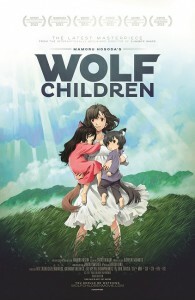 Wolf Children was the winner of the Japan Academy Prize for Animation of the Year. Mike McFarland, who directed the North American dub, will be on hand for the premiere and as a guest throughout the weekend. McFarland also directed the acclaimed dub of Hosoda’s previous work, Summer Wars, as well as those for Fullmetal Alchemist, One Piece, and Rebuild of Evangelion. He last appeared at Otakon in 2009.